Wikimedia Commons has media related to 1765 . 1765 ( MDCCLXV ) was a common year starting on Tuesday of the Gregorian calendar and a common year starting on Saturday of the Julian calendar , the 1765th year of the Common Era (CE) and Anno Domini (AD) designations, the 765th year of the 2nd millennium , the 65th year of the 18th century , and the 6th year of the 1760s decade. As of the start of 1765, the Gregorian calendar was 11 days ahead of the Julian calendar, which remained in localized use until 1923. Isaac Barré was an Irish soldier and politician. He earned distinction serving with the British Army during the Seven Years' War and later became a prominent Member of Parliament, in which role he became a vocal supporter of William Pitt. He is known for coining the term "Sons of Liberty" in reference to American Whigs opposed to the British government's policies. Wycombe is a constituency represented in the House of Commons of the UK Parliament since 2010 by Steve Baker, a Conservative. Maria Josepha of Bavaria was Holy Roman Empress, Queen of the Romans, Archduchess of Austria, Grand Duchess of Tuscany, etc. 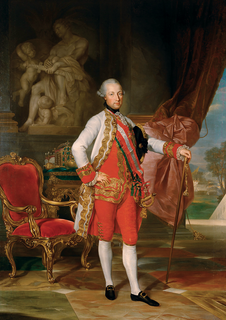 by her marriage to Joseph II, Holy Roman Emperor. By birth, she was a Princess and Duchess of Bavaria as the daughter of Charles VII, Holy Roman Emperor, Elector of Bavaria, and Archduchess Maria Amalia of Austria. Fort Tombecbe, also spelled Tombecbee and Tombeché, was a stockade fort located on the Tombigbee River near the border of French Louisiana, in what is now Sumter County, Alabama. It was constructed under the leadership of Jean-Baptiste Le Moyne, Sieur de Bienville in 1736-37 as trading post about 270 miles (430 km) upriver from Mobile, on an 80-foot (24 m) limestone bluff. Fort Tombecbe was built in Choctaw lands and would play a major role in colonial France's efforts to stop British intrusions into the area. Bienville claimed that the new fort was to protect the Choctaw from the Chickasaw. Tombecbe was a major French outpost and trade depot among the Choctaw, the largest Native American group in the colony. Epes is a town in Sumter County, Alabama, United States. Initially called Epes Station, it was incorporated as Epes in 1899. At the 2010 census the population was 192, down from 206 in 2000. George Grenville was a British Whig statesman who rose to the position of Prime Minister of Great Britain. Grenville was born into an influential political family and first entered Parliament in 1741 as an MP for Buckingham. He emerged as one of Cobham's Cubs, a group of young members of Parliament associated with Lord Cobham. 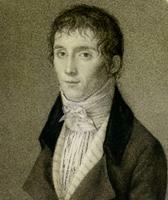 Charles Watson-Wentworth, 2nd Marquess of Rockingham,, styled The Hon. Charles Watson-Wentworth before 1733, Viscount Higham between 1733 and 1746, Earl of Malton between 1746 and 1750 and The Marquess of Rockingham in 1750 was a British Whig statesman, most notable for his two terms as Prime Minister of Great Britain. He became the patron of many Whigs, known as the Rockingham Whigs, and served as a leading Whig grandee. He served in only two high offices during his lifetime, but was nonetheless very influential during his one and a half years of service. August 16 is the 228th day of the year in the Gregorian calendar. There are 137 days remaining until the end of the year. The Treaty of Allahabad was signed on 12 August 1765, between the Mughal Emperor Shah Alam II, son of the late Emperor Alamgir II, and Robert Clive, of the East India Company, as a result of the Battle of Buxar of 22 October 1764. The Treaty marks the political and constitutional involvement and the beginning of British rule in India. Based on the terms of the agreement, Alam granted the East India Company Diwani rights, or the right to collect taxes on behalf of the Emperor from the eastern province of Bengal-Bihar-Orissa. Thus East India Company were appointed as the imperial tax collector for the Eastern province (Bengal-Bihar-Orissa). These rights allowed the Company to collect revenue directly from the people of Bengal, Bihar and Orissa. In return, the Company paid an annual tribute of twenty-six lakhs of rupees while securing for Shah Alam II the districts of Kora and Allahabad. The tribute money paid to the emperor was for the maintenance of the Emperor's court in Allahabad. The accord also dictated that Shah Alam be restored to the province of Varanasi as long as he continued to pay certain amount of revenue to the Company. Awadh was returned to Shuja-ud-Daulah, but Allahabad and Kora were taken from him. The Nawab of Awadh also had to pay fifty lakhs of rupees as war indemnity to the East India Company. Company rule in India refers to the rule or dominion of the British East India Company over parts of the Indian subcontinent. 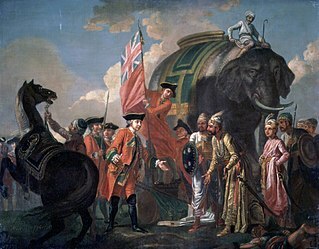 This is variously taken to have commenced in 1757, after the Battle of Plassey, when Mir Jafar, the new Nawab of Bengal enthroned by Robert Clive, became a puppet in the Company's hands; in 1765, when the Company was granted the diwani, or the right to collect revenue, in Bengal and Bihar; or in 1773, when the Company established a capital in Calcutta, appointed its first Governor-General, Warren Hastings, and became directly involved in governance. By 1818, with the defeat of the Marathas, followed by the pensioning of the Peshwa and the annexation of his territories, British supremacy in India was complete. The 1760s decade ran from January 1, 1760, to December 31, 1769. 1754 (MDCCLIV) was a common year starting on Tuesday of the Gregorian calendar and a common year starting on Saturday of the Julian calendar, the 1754th year of the Common Era (CE) and Anno Domini (AD) designations, the 754th year of the 2nd millennium, the 54th year of the 18th century, and the 5th year of the 1750s decade. As of the start of 1754, the Gregorian calendar was 11 days ahead of the Julian calendar, which remained in localized use until 1923. 1767 (MDCCLXVII) was a common year starting on Thursday of the Gregorian calendar and a common year starting on Monday of the Julian calendar, the 1767th year of the Common Era (CE) and Anno Domini (AD) designations, the 767th year of the 2nd millennium, the 67th year of the 18th century, and the 8th year of the 1760s decade. As of the start of 1767, the Gregorian calendar was 11 days ahead of the Julian calendar, which remained in localized use until 1923. 1766 (MDCCLXVI) was a common year starting on Wednesday of the Gregorian calendar and a common year starting on Sunday of the Julian calendar, the 1766th year of the Common Era (CE) and Anno Domini (AD) designations, the 766th year of the 2nd millennium, the 66th year of the 18th century, and the 7th year of the 1760s decade. As of the start of 1766, the Gregorian calendar was 11 days ahead of the Julian calendar, which remained in localized use until 1923. 1751 (MDCCLI) was a common year starting on Friday of the Gregorian calendar and a common year starting on Tuesday of the Julian calendar, the 1751st year of the Common Era (CE) and Anno Domini (AD) designations, the 751st year of the 2nd millennium, the 51st year of the 18th century, and the 2nd year of the 1750s decade. As of the start of 1751, the Gregorian calendar was 11 days ahead of the Julian calendar, which remained in localized use until 1923. 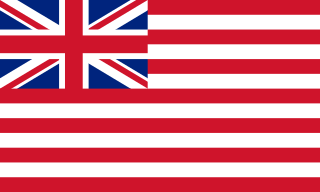 In Britain and its colonies, 1751 only had 282 days due to the Calendar Act of 1750. The Stamp Act of 1765 was an Act of the Parliament of Great Britain that imposed a direct tax on the British colonies and plantations in America and required that many printed materials in the colonies be produced on stamped paper produced in London, carrying an embossed revenue stamp. Printed materials included legal documents, magazines, playing cards, newspapers, and many other types of paper used throughout the colonies. Like previous taxes, the stamp tax had to be paid in valid British currency, not in colonial paper money. The House of Burgesses was the elected representative element of the Virginia General Assembly, the legislative body of the Colony of Virginia. With the creation of the House of Burgesses in 1642, the General Assembly, which had been established in 1619, became a bicameral institution. William Samuel Johnson was an early American statesman who was notable for signing the United States Constitution, for representing Connecticut in the United States Senate, and for serving as the third president of King's College now known as Columbia University. Samuel Ward was an American farmer, politician, Supreme Court Justice, Governor of the Colony of Rhode Island and Providence Plantations, and delegate to the Continental Congress. He was the son of Rhode Island governor Richard Ward, was well-educated, and grew up in a large Newport, Rhode Island family. After marrying, he and his wife received property in Westerly, Rhode Island from his father-in-law, and the couple settled there and took up farming. He entered politics as a young man and soon took sides in the hard-money vs. paper-money controversy, favoring hard money or specie. His primary rival over the money issue was Providence politician Stephen Hopkins, and the two men became bitter rivals—and the two also alternated as governors of the Colony for several terms. The Braintree Instructions was a document sent on September 24, 1765 by the town meeting of Braintree, Massachusetts to the town's representative at the Massachusetts General Court, or legislature, which instructed the representative to oppose the Stamp Act, a tax regime which had recently been adopted by the British Parliament in London. 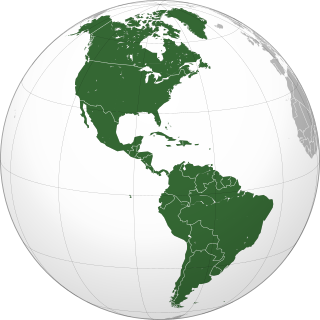 The document is significant because, following the Virginia Resolves, it was among the earliest in British America to officially reject the authority of Parliament over the colonies in North America. The instructions were written by John Adams, who would ten years later become a key figure in the American Revolution and ultimately be elected the second President of the United States in 1796. ↑ Hartley Booth, V. E.; Sells, Peter (1980). 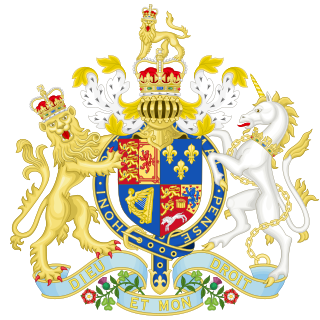 British extradition law and procedure: including extradition between the United Kingdom and foreign states, the Commonwealth and dependent countries and the Republic of China. Alphen aan den Rijn: Sijthoff & Noordhoff. p. 5. ISBN 978-90-286-0079-9. OCLC 6890466. ↑ Bhattacherje, S. B. (May 1, 2009). Encyclopaedia of Indian Events & Dates. Sterling Publishers Pvt. Ltd. pp. A-96. Retrieved March 24, 2014. ↑ Bisha, Robin (2002). Russian Women, 1698-1917 Experience and Expression: An Anthology of Sources. Bloomington, IN: Indiana University Press. pp. 162–163. ↑ "Smithsonian History, James Smithson". Smithsonian Institution Archives Website. Smithsonian Institution Archives. Retrieved 28 February 2018.